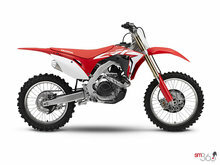 The CRF450R’s Programmed Fuel Injection (PGM-FI) settings contribute to the engine’s strong low-end torque, remarkable top-end power and generous over-rev capability. Extra-strong transmission gears enhance durability while delivering smooth, sure shifts. 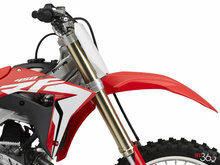 By straightening the intake path, reducing valve angle, and revising both combustion chamber and piston shape, engineers were able to improve flow and increase compression ratio for an even bigger power boost. A new scavenge pump system with no separate oil tank improves engine lubrication, reduces friction, and requires less oil for reduced overall engine weight. More power, more torque, higher rev limit... the CRF450R’s Unicam engine has been radically improved to get you out front right from the drop of the gate. And keep you there. The CRF450R’s Engine Mode Select (EMS) system lets you modify fuel-injection and ignition mapping with the simple push of a handlebar-mounted button. Choose between Standard, Smooth and Aggressive to dial in the best power curve for better starts, better drive out of corners, better traction, or simply to better suit your riding style. 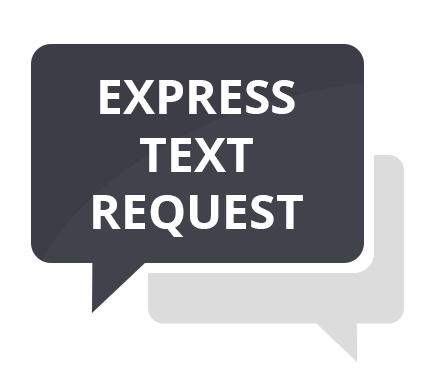 Mode selection is easily accomplished without changing your hand position or shutting down the engine (as long as the engine is idling). 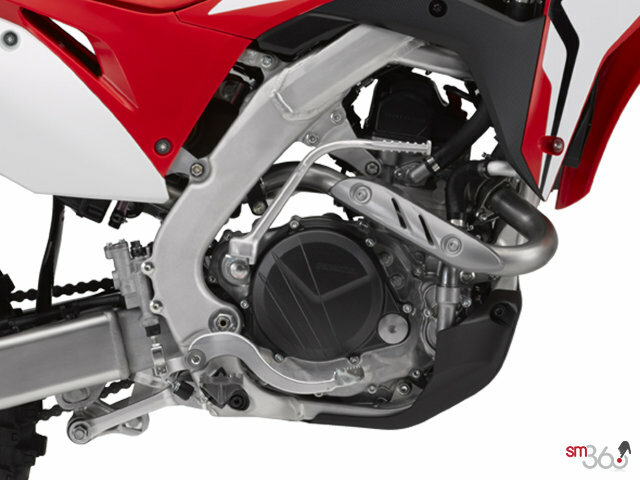 Easy to tune to match changing track conditions or your riding style, the CRF450R’s new Showa coil-spring fork was developed to work in conjunction with the improved chassis for enhanced traction, agility and stability. 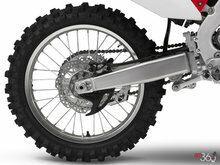 Dunlop MX3S tires offer excellent traction in a wide variety of conditions. 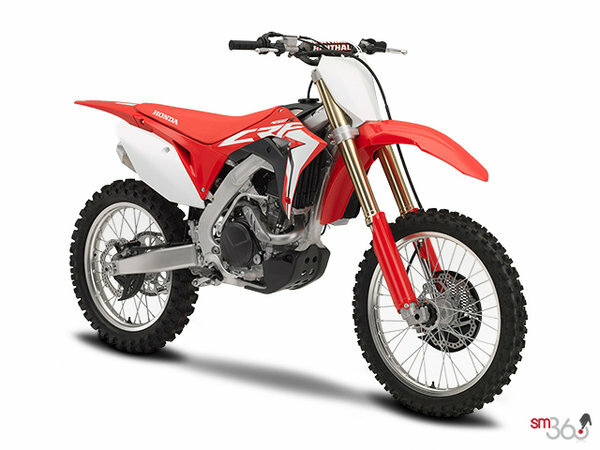 The Unicam cylinder head design uses our latest finger rocker arms, oval cross-section valve springs and large intake valves to boost horsepower and allow a high rev limit. The CRF450R’s short twin-muffler exhaust system not only contributes to the engine’s exceptional power characteristics, it’s also positioned tightly to the frame’s centre to take weight off the rear end and optimize mass centralization for improved handling. 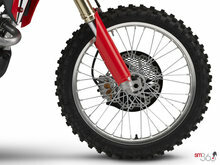 A special scavenge pump system improves engine lubrication, reduces friction and requires less oil, to help reduce overall engine weight. Standard electric start gets you going quickly and effortlessly with the push of a button. 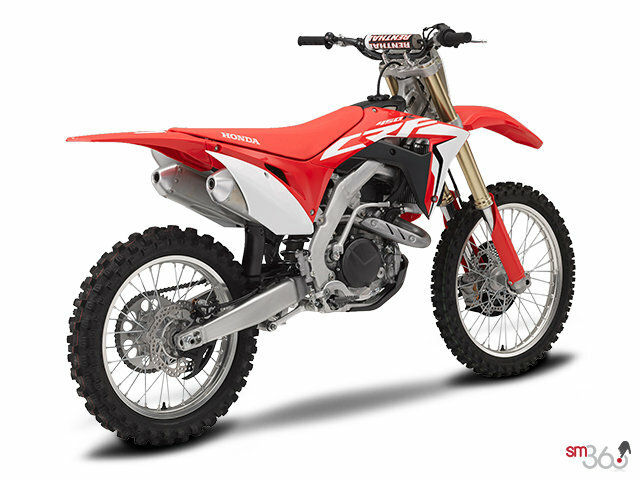 Not only is the CRF450R’s improved twin-spar aluminum frame lighter for 2017, its torsional stiffness has been reduced to give you more feedback and to improve turn-in and corner-exit performance, without giving up high-speed stability. The CRF450R boasts a lower overall centre of gravity and a shorter wheelbase thanks to the swingarm location and the centralized rear shock—both contribute to the type of precise handling that wins motos, and championships. The fender and tank shrouds increase airflow to the radiators, keeping the engine running at peak efficacy from gate drop to checkered flag. 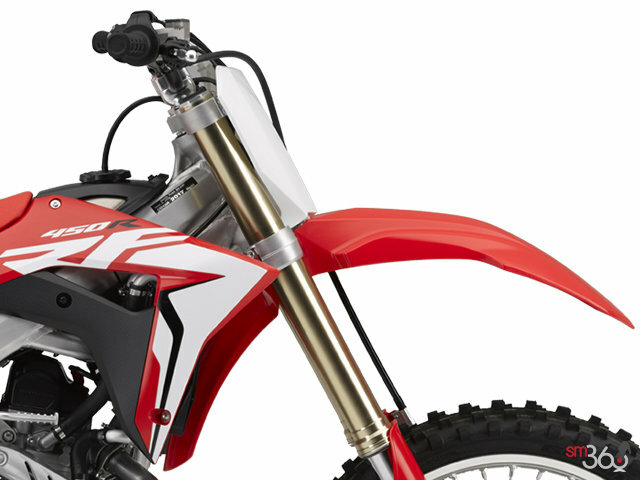 Smoother bodywork with fewer edges allows you move even more freely in the CRF450R’s saddle, while improved durability of plastic components and graphics keeps your CRF looking new win after win. 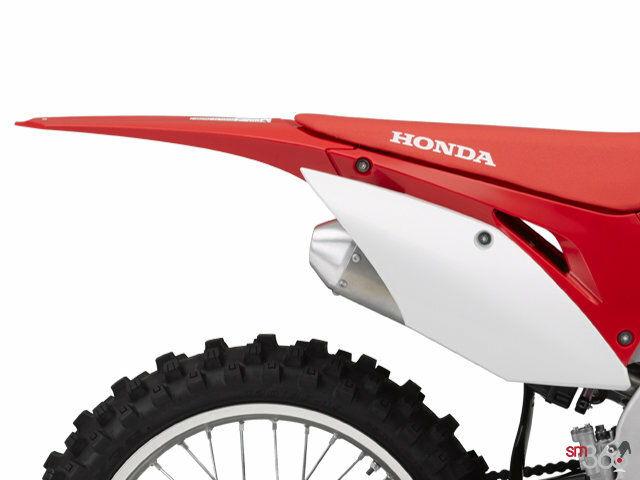 The CRF450R’s new titanium fuel tank reduces high-mounted weight, thereby lowering centre of gravity and improving mass centralization. The CRF450R’s very narrow midsection helps deliver incredible agility and rider ergonomics. 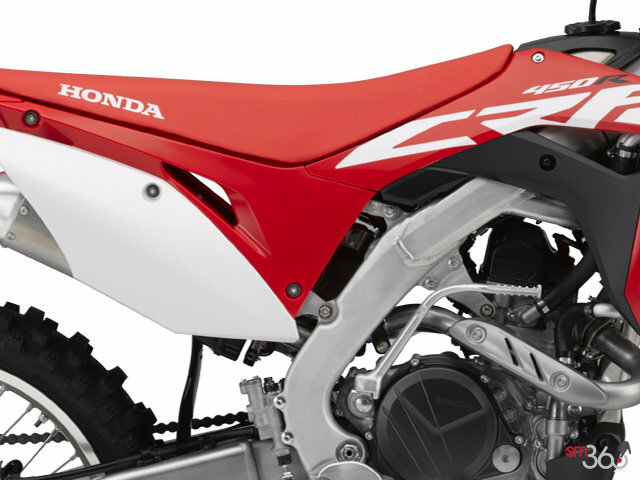 Smooth bodywork allows you to move freely in the CRF450R’s saddle, while durable plastic components and graphics keep your CRF looking new win after win.